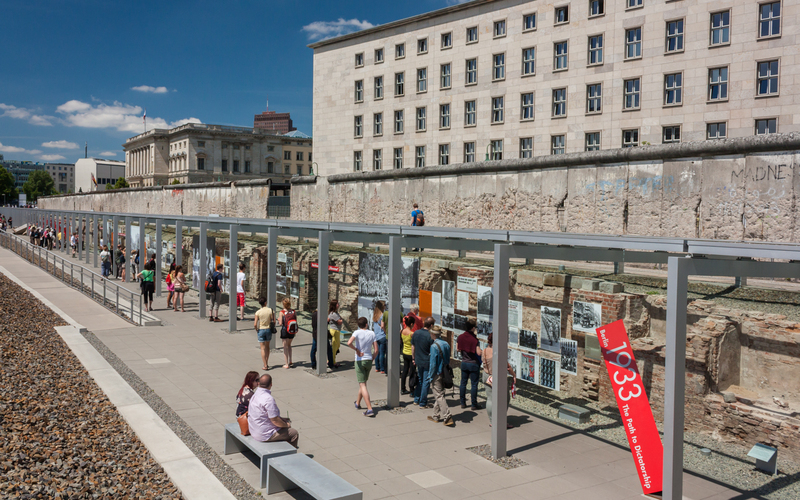 Places having saved the traces of Holocaust are bleeding. One cannot look at them not experiencing anguish. Even though the memory about those days grinding thousands of human bodies in the mincing-machine of disgrace is painful, we should remember about that at least not to allow it happen henceforth. That is why coming to Berlin many travelers immolate a sated calmness for the sake of reality without illusions and go walking in the places of Holocaust’s memory. Not far away from Reichstag and Brandenburg gates there is the Central memorial in commemoration of European Jews who died in bloody times of the victory of national socialism over the common ground. Nowadays, this memorial has been visited by more than three and a half million people. Opened in 2005, the monument became a result of the great work of historians and politicians who investigated the crimes of The Third Reich. For that matter, its founding was not a simple deal. Berlin TV-journalist Lea Rosh travelling along Israel decided to build the monument to the dead Jews of Europe, upon the arrival to the native land. German authorities supported and even contributed a part of land. Indeed, earlier in this place there used to be a Reich Chancellery of Hitler called as ‘Ministry Gardens’. 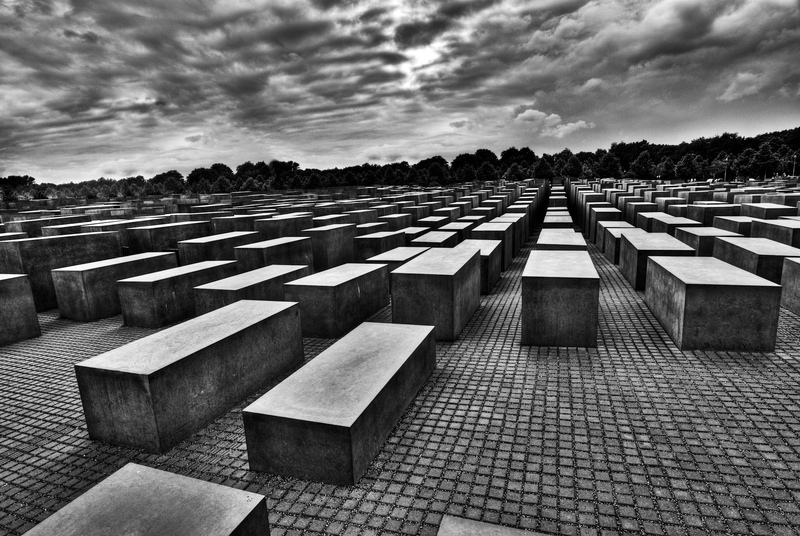 They had arranged a contest on the best idea of the monument, and the competition was won by the artist Christina Jakob Mars offering to put on the ground a tremendous concrete bay and engrave the names of a million of the murdered Jews. The idea did not gain popularity among the people, and in the nation they said that nobody wanted to see in the centre of Berlin ‘giant gravestone’. That is why the competition was continued and the next time they considered as the most relevant project the concept of Americans Peter Eisenman and Richard Serra ‘Field of stone steles, or Forest of stones’. The same time in Germany the redistribution of power happened, and new ruling forces actively stood against the construction of the monument. They told that the second generation of Germans not guilty in Nazi crimes was growing, and it was not worth to embitter their shame with yet oppressive survival guilt. They claimed, it was enough to open the museum of Holocaust and there was no use in performing the monstrous tragedy on the stage of total observation. Not being able to withstand the pressure, Serra refused from his own project while Eisenman continued standing for the idea of 2700 columns with the maximum height in four meters. On the 12-th of May, 2005, the monument to the destroyed Jews of Europe was opened locating not far away from Brandenburg gates, parliament square, as well as different embassies. 2711 concrete steles are hanging together a bit inclining in various sides. Southern Eastern part of platforms is taken with the underground Center of information – this is exhibition evolving 800 square meters. There is the detailed data about the victims of Holocaust; besides that, there is a plenty of photos from family archives. In the times of the Third Reich this territory used to cover the crimes of Nazi. However, with the destruction of Nazi ideology, the headquarters of Gestapo and Gestapo prison was destroyed, building memorial museum ‘Topography of terror’ on their place. As opposed to the monuments dedicated to the victims of Holocaust, this museum makes a stress on the murderers. The terrifying exposition of the museum takes 800 square meters. There is everything about the history of SS concentrated including the detailed narration about the crimes of the Third Reich confirmed with documentary photos. Uncovered truth is rather painful, however, the creators of this museum were intended to get the public familiar with the mechanism of law-breaking actions implementation. Those who read attentively the stories expounded on the posters and then move along the basements of Gestapo and barracks for working men get the full view how the handful of people charmed by the idea can lay the fire where millions of innocent victims were about to burn to death. From this platform under number seventeen the trains came to concentration camp. Looking into the numbers fixed in documentary sources one cannot keep calm. These are 50 thousand Jews carried out from Berlin to concentration camps. The first carriage that moved on the 18-th of October, 1941 took 1013 people while the last one going on the 27-th of March, 1945 included 18 Jews. At the photos it is seen that at first Nazi used the carriages of the second and third class. But when they needed an additional transport, people were shoved in the simple freight-cars. 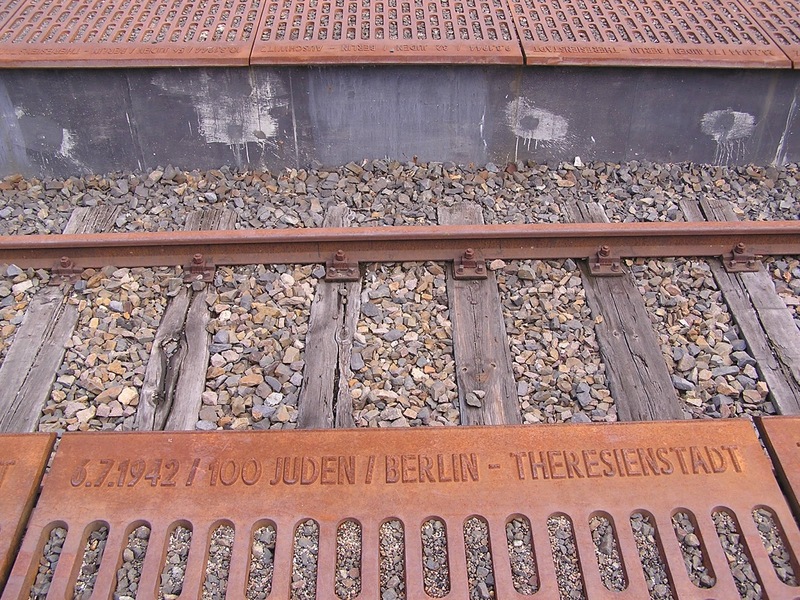 Nowadays the memorial saves the shades of the past, particularly, two rail ways of the platform near which the tablets are put with indication of the number of Jews taken into the camps of death. So as to see memorial, it is enough to go at Berlin station Grünewald, move along the underground walkway and pay attention to the indicator ’17 Gleis 17’. 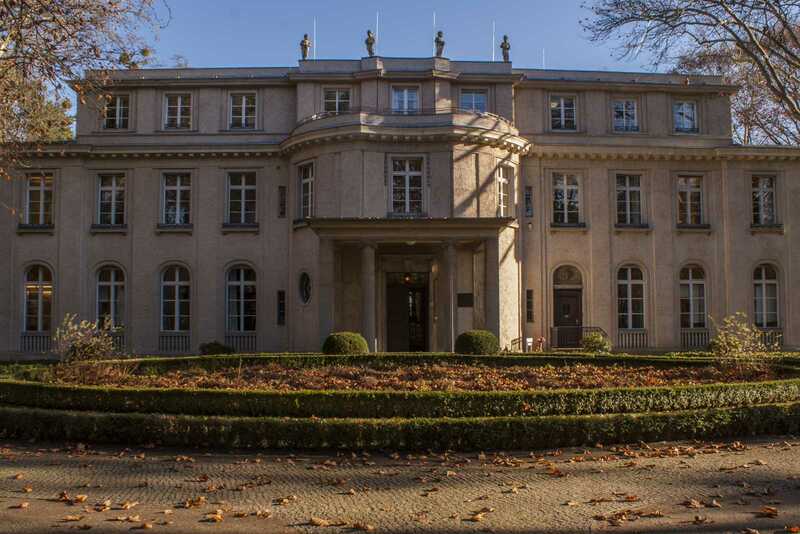 Berlin district Wannsee had been built intending for the elite. One of the houses built in this area had been taken into sight of the workers of SS. In 1940, the service of safety of SS purchased villa calling it as the guest house. Indeed, here the destiny of Jews was solving. Certainly, the prosecution of people on the belonging to nationality happened even before this moment, however, after the Wansee conference the harassment got justification of the state. Reinhard Heydrich, Adolf Eichmann, Heinrich Müller, and other twelve Nazi activists had been discussing the issue of Jews and systematically came to conclusion that any country in the world is not ready to accept such a number of Jews; that is why nothing has left except for creation of concentration camps. At the moment, the museum took in its walls numerous information items of evidence of Nazi crimes, different stenographs printed on the posters and extracts from newspaper. At the mounts one can see caricatures and Hitler propagandistic leaflets aimed at the demolition of Jews reputation. The photos date by 1942-1943 embedded the cruel moments of Nazi mockeries. Everything here is plainly visible – ‘Jews are digging graves’, ‘Jews are waiting for the execution’, ‘The last sigh of Jew’. Earlier the square Hausvogteiplatz used to be called as the textile centers of fashion kings. Jewish bankers and designers built houses in this district. There the true trendsetters of European fashion lived. Even the extraordinary Paris faded in comparison with their originality. When Hitler came to power, he firstly put the question about the purity of Arian blood deciding that all the successful tailor’s shops had to be given to Germans. In the confiscated places the work continued, however, inimitable spirit of fashion was hell and gone. Moreover, the square itself served as the implication about the affairs of the previous times. Nowadays at the area Hausvogteiplatz the memorial mirror pyramid has been established. Each plane is directed in the side of those houses where earlier famous Jewish families lived. 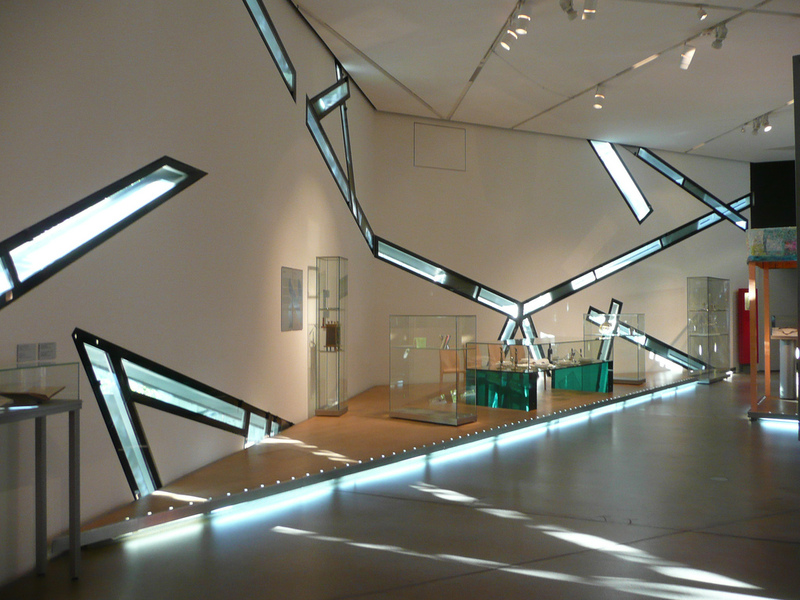 Jewish museum in Berlin is called as the masterpiece of American architect Daniel Libeskind. This ensemble consisting of the building in style of Baroque and new construction was built in 1998. The visitors going into museum had to put efforts to make headway because the architect located floor in museum down grade. In 2007, Libesking offered a project ‘Glass yard’ which frames Jewish museum of the square in 670 square meters. By the way, the space of architectural ensemble is similar to the ritual Jewish hut Sukkah. The German Embassy in Ukraine traditionally organized an open day in September - the German Garden. Kiev citizens and guests of the city could get acquainted with the activities of Germany in Ukraine and talk with representatives of German intermediary organizations. The event welcomed 40 producers from Germany and Ukraine who presented their production, the representatives of business from all the regions of Ukraine, international organizations and projects, specially-oriented institutes, etc. To the north of Berlin, near the German city of Oranienburg there is a concentration camp that for many years was deceitfully silent concealing secrets of death. Sachsenhausen became a place of tortures for the representatives of different nationalities, and in some periods the number of prisoners reached 60 thousand people.